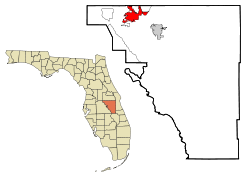 Kissimmee, Florida was founded in the 1850s as Allendale. When the city incorporated in 1883 its name was hanged to Kissimmee. Kissimmee was developed by Hamilton Disson who drained much of the swamp land in the area. Kissimmee includes much of Walt Disney World © and as a result has experienced significant real estate development over the last 50 years with a boom noted in the residential and vacation home housing markets. Have A Kissimmee Appraisal Question ? Call Now!